These guys are hard working, caring professionals. They do top quality work at a great price. Matt has always been focused on quality lawn care and very responsive to our lawn care needs. I highly recommend Grass Masters! They are very professional in how they do things and their price is very reasonable. I would definitely recommend them. Our yard is a tricky thing, with too many obstacles, but he handled it beautifully, snatching up leaves and thatch that we've neglected for a couple of years. The grass looks great now! Grass Masters has been really great. We've used them for both lawn care, and Christmas lights. Matt is very particular about the quality service he provides. We're really glad we had him referred to us, and would also refer him to anyone! Grass Masters has been great to work with. Their prices are very reasonable, they have good communication, quick service, and great quality work. We would definitely recommend them to anyone! Just had my second great experience with Matt Brown and Grass Masters Landscape Maintenance. I would highly recommend this business. Very knowledgeable and professional. We were super happy with the professionalism and timely manner Matt provided service. He was easy to communicate with and left my lawn looking great. Would definitely hire again and recommend to anyone looking for lawn care. I have had the pleasure of receiving Matt's services for a few years now. He has successfully helped me bring my "cow field" of a yard back to one that I am truly proud of! He has fixed and maintained my sprinklers and this year he power raked my yard. It looks amazing! He is professional, timely and as nice as they come. HIGHLY RECOMMEND!!! Great, great service. Matt and his crew are the best in the valley! 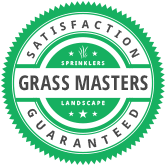 - We started using Grass Masters a few years ago on a referral from a friend. We were looking for someone who was reasonably priced and did what they said they were going to do. This is Grass Masters! - Not only has Matt taken care of our needs the past 3 years, he has gone above and beyond what we've asked him to do. - This past week, Matt came to take our Christmas lights down. He noticed that my heat tape on my roof had been pulled off when some icicles dropped to the ground during this brutal winter (2016-2017). While he was taking down the lights, he fixed the heat tape for no additional charge. Great ownership and customer service. - My neighbor, Brent, just started using Grass Masters this year as well and has been extrememly satisfied. - Also, if you're using Grass Masters for Christmas lights . . . the sets he sells to you are high quality LED lights and are very reasonably priced when comparing them to online prices. Great company with a true attention to detail when it comes to customer service.